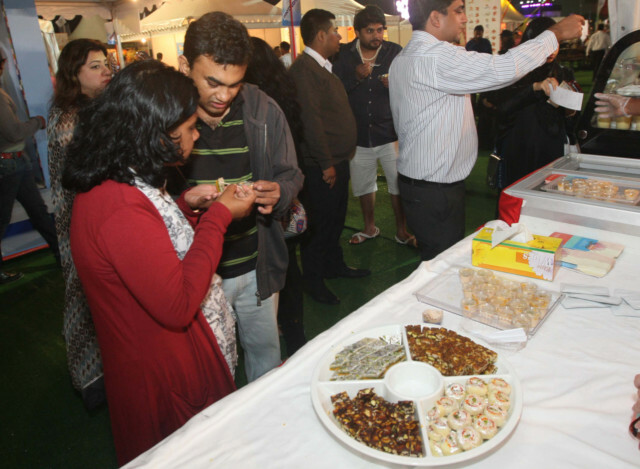 Dubai: Dubai foodies were all smiles yesterday as the city witnessed its first grand celebration of all things yummy. 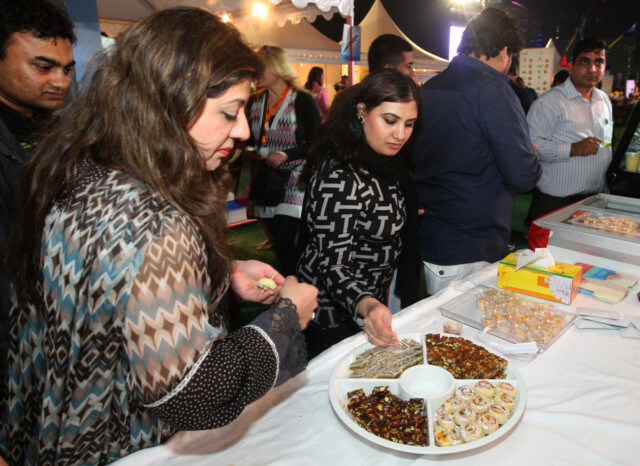 The inaugural edition of the Dubai Food Festival (DFF) was served up yesterday with the opening of the Dubai Food Carnival (DFC) at Dubai Festival City. On the menu for the 23-day DFF are special restaurant promotions, food stalls, live demos by star chefs and much more. Organised by the Dubai Festivals and Retail Establishment, the first day was a promising glimpse of delicious days and years to come. The two-day Carnival was the starter in the debut festival, and thousands of foodies feasted on a mind-boggling variety of treats. 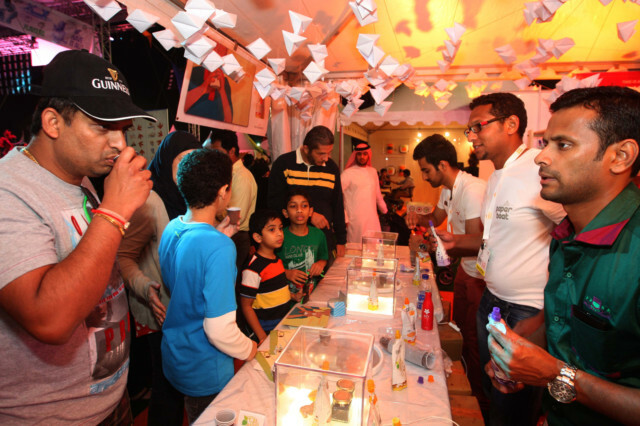 More than 100 stalls have mushroomed at the outdoor exhibitions area, near the Toys R Us store. Hard-to-find delights, such as Emirati lamb machbous (Dh30), a traditional stew, are competing with new offers including a new Rey “functional” health drink (Dh12.50). A host of celebrity chefs showed off their skills at The Chef’s Dome, including UK Masterchef judge John Torode, and Silvena Rowe, star of BBC’s Country Show Cook-Off. 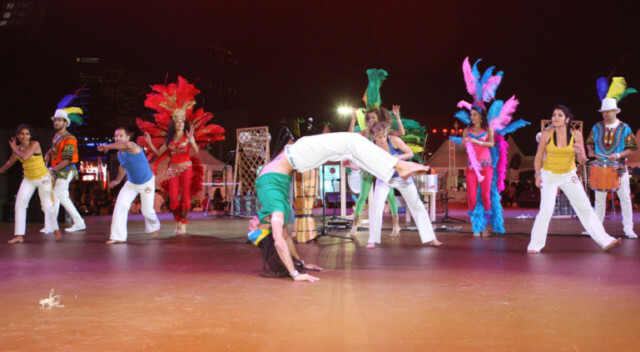 The Carnival’s central stage also hosted performances by a troupe of Brazilian Capoeira dancers, and Japanese Basho Championship sumo wrestlers, among others. 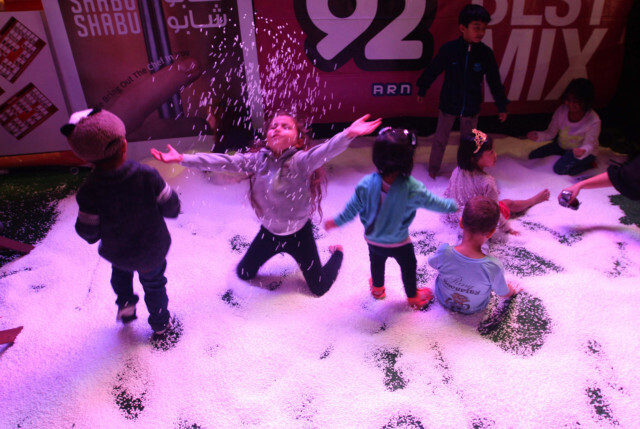 The debut edition, organised by the Dubai World Trade Centre, simultaneously kicked off the wider Dubai Food Festival organised by the Dubai Festivals and Retail Establishment, an agency of the Department of Tourism and Commerce Marketing (DTCM). There were plenty of samplers and contests such as the Beat the Heat! spice fest. Tickets are priced at Dh30 for adults.